I know as a new member of Girls Who Hike it can be a little intimidating. It can be especially overwhelming if you just joined a chapter with a ton of members. 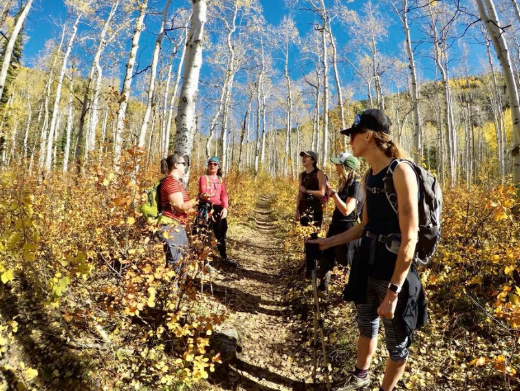 Here are some suggestions on how to get the most out of your new found Girls Who Hike membership! It is pretty self explanatory and definitely encouraged to make a post with some facts about yourself. It doesn’t have to be your life’s history but it should include information about yourself. 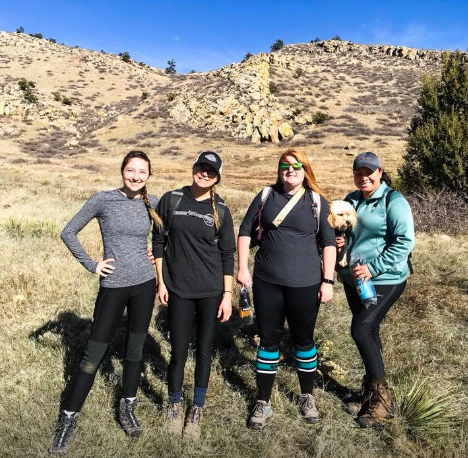 Let the other girls know your hiking experience, what you’re looking to get out of joining the group, and your skill level. You can even include a picture of you on a hike! Go crazy! This is the best way to start connecting with other girls in the group. If people know they live close to you then you have a higher chance of meeting up with them for a hike. Though I know a lot of girls that will travel hours for a hike. You never know until you take that tiny first little step! The next step would be to check out the events tab on the chapter’s Facebook group you joined. 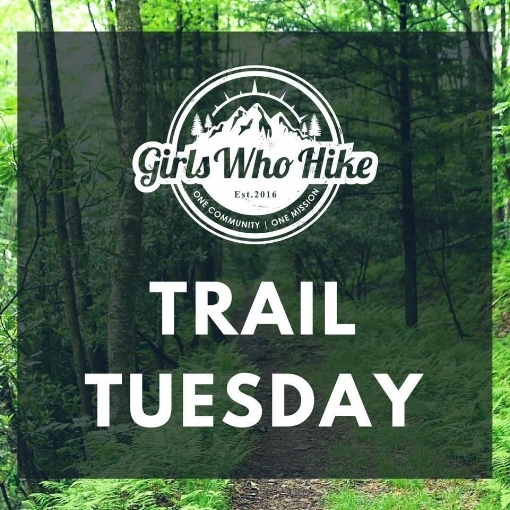 You can also look for upcoming events on the Girls Who Hike webpage. This is where the ambassadors of your chapter will make events for the official meet ups they hold once a month. Most chapters have multiple ambassadors so there are multiple official meet ups in one month. Members can also create events for the chapter. Those created by members are labeled as “Unofficial” and these are also a great way to meet other GWHers. If your shy or worried about personalities I would suggest reaching out to an ambassador of your chapter and seeing if you can hike with them beforehand one on one or even in just a smaller group. 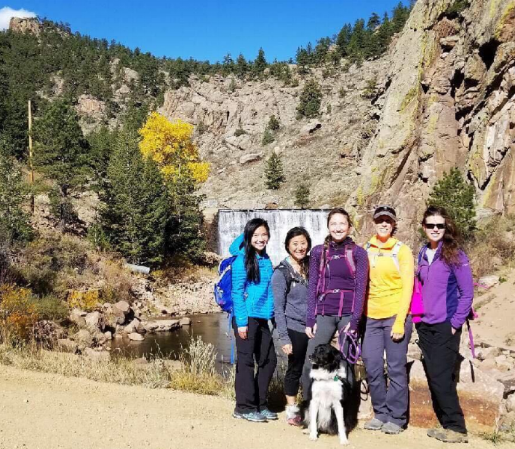 Girls Who Hike is a great place to find a new hiking buddy. If you know of a hike you’re wanting to do but don’t want to go alone you can post about it in your chapter’s Facebook group. A lot of girls are looking for hiking partners and a lot of girls have varied schedules so there is a high chance that when you’re free another girl will also be free. You can also post asking about hike recommendations, trail conditions, or about hiking gear. GWH has girls of all experience levels so it is a great resource of information. If they happen to not know they may be able to help point you in the right direction. Engaging is along the lines of reaching out and the introduction. There are days of the week that the ambassadors will post asking people to share their most recent hike (with pics so we can see the beauty of it!). Waterfall Wednesday is a fan favorite but I personally love Social Media Sunday. You can post a link to your blog, Instagram, or whatever social media outlet you want to share with the other girls. Instagrams are very popular and I think it’s a great way to keep up with what the other girls in your chapter are up to. Maybe you can find a new hike or maybe you notice that you and another girl have similar personalities! Keep an eye out for these engagement posts. It’s fun to see the girls on their hikes. A first meet up can also be pretty intimidating. Meeting new people isn’t always for everyone. 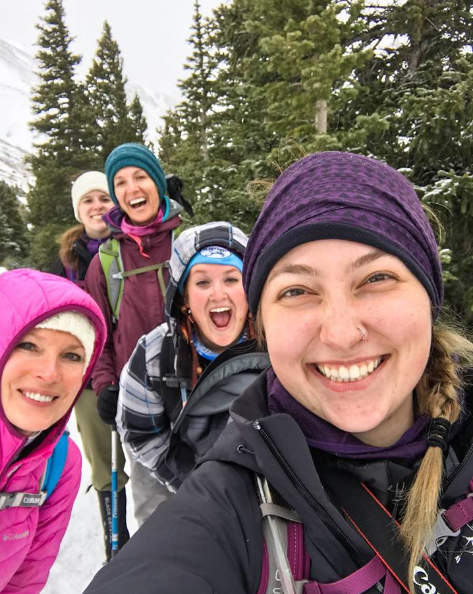 There is also a stigma around women in general that groups of girls can be “catty” and I for one have not witnessed that personally in Girls Who Hike. I cannot speak for every girl in Girls Who Hike though. You can always invite a friend to join a meet up with you (just make sure if it is an official meet up that they sign the waiver located in the event description). 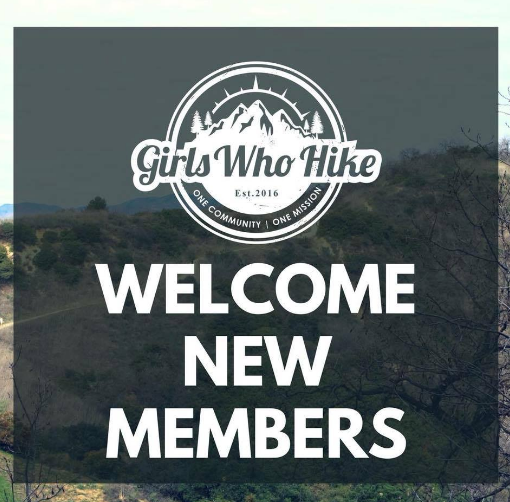 At Girls Who Hike we, Sharron and the ambassadors, want to make sure that every girl feels welcome! We try our hardest to be inclusive so if you’re feeling nervous about going to a meet up feel free to reach out to an ambassador. That way you have a friendly face at your first meet up. I sincerely hope these little tips can help you out in finding your place in Girls Who Hike. Never be scared to ask a question no matter how silly it might be. There is probably someone else that also wants the answer. We’re all humans just trying to get out and see the beauty that nature has to offer! Sierra Hodges is the Ambassador for our Colorado chapter. You can join her local meetups and discussions through the Colorado chapter by clicking here. 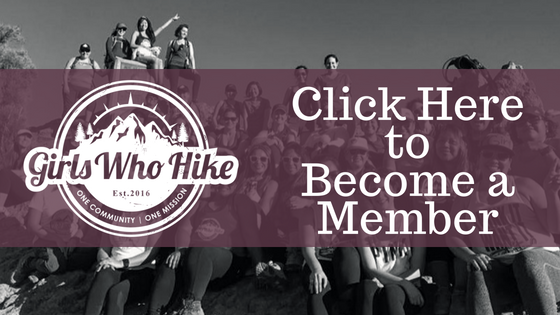 To become a member with Girls Who Hike, click here.